That Americans got their first taste of bellydancing with the famous dancer, Little Egypt, in 1893 at the Chicago’s World’s Fair? Greek dance is a very old tradition, being referred to by ancient authors such as Plato, Aristotle, and Plutarch and Lucian. There are different styles and interpretations from all of the islands and surrounding mainland areas. Each region formed its own choreography and style to fit in with their own ways. For example, island dances have more of a “watery” flow to them, while Pontic dancing closer to Black Sea, is very sharp. There are over 4000 traditional dances that come from all regions of Greece. There are also Pan Hellenic dances, which have been adopted throughout the Greek world. These include the tsamiko, syrtos, and kalamatianos. Traditional Greek dancing has a primarily social function. It brings the community together at key points of the year, such as Easter, the grape harvest or patronal festivals; and at key points in the lives of individuals and families, such as weddings. For this reason, tradition frequently dictates a strict order in the arrangement of the dancers, for example, by age. Visitors tempted to join in a celebration should be careful not to violate these arrangements, in which the prestige of the individual villagers may be embodied. Greek dances are performed often in diaspora Greek communities, and among international folk dance groups. DID YOU KNOW… The word “music” is derived from the Greek word, “mousikC,” meaning “of the muses,” named after the 9 daughters of Zeus – linking music to divinity. Greek music is just as diverse and as old as the dance. Traditional Greek music have similarities to Middle Eastern music, especially music of Cyprus. Folk music is said to have derived from Ancient Greece. 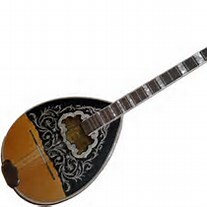 The bouziki (b-ZOO-kee) is the mainstay of modern Greek music, and a member of the lute family. It became popular in the 1920’s with Rebetiko music as urban Greek music of Greek social outcasts (drug-users, refugees, and criminals). Tsifeteli is a type of music that was brought by the refugees from Asia Minor in the 1920’s. It’s described as belly dance music of Greece, with Arabic and Turkish influence. Tsifeteteli is a very popular style of Modern Greek music. For health and beauty tips, delicious low-calorie recipes, latest updates on workshops, performances, free give-aways, and much more, sign up for our free monthly newsletter. Gwen Stefani sports her Bindi. Bindis are dots traditionally worn on the forehead by women in India for decoration and religious purposes. They are self-adhesive and re-usable. They come in different sizes, shapes, colors and styles. Stars such as Madonna and Gwen Stefani of the band “No Doubt” have adopted the look which is gaining popularity all over the world. Finger cymbals are small brass discs played by dancers and/or musicians. Generally, bellydancers wear four – one on each thumb and each middle finger – and incorporate different rythmic patterns into their dance and music. Henna/Mehndi is an ancient form of body adornment worn by many East Indian and Middle Eastern women. Although it is mostly used for wedding ceremonies, henna has gained popularity worldwide as a “temporary tattoo” because the designs only stay on the skin for about two weeks to one month. Henna is painless, safe and natural and can be used for hair as a natural dye. The henna plant is crushed into powder and mixed with water, lime or lemon juice, coffee or tea, and oil.